The move came as a surprise to some. Many members of the board had spent 2017 dismissing stories of conflict and partisanship on the board as overblown by the media. But those paying close attention to the board were well aware that the recently concluded year was racked with controversies and internal strife. That tension manifested itself throughout 2017 in the form of quiet power struggles between UNC President Margaret Spellings and an aggressive bloc of new, more ideological board members, public spats over the university’s handling of the Confederate monument controversy, and controversial new policies criticized by UNC students, faculty and staff as politically motivated. 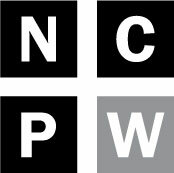 Now, after three months and the threat of a legal action, Policy Watch has obtained emails available under the Freedom of Information Act that outline the degree to which the board is fractured, with its members squabbling among themselves and fiercely at odds with the leadership of the UNC system itself. The internal emails, which run to more than 400 pages, largely center around the ongoing controversy over “Silent Sam” – the Confederate monument on the campus of UNC-Chapel Hill. In the wake of deadly white supremacist violence centered on a Confederate statue at the University of Virginia and the toppling of a Confederate statue in Durham, disagreement over how to deal with UNC’s statue erupted into a conflict in which many unrelated grievances were ultimately aired and many more were shared only between board members and UNC leadership. A: 8/18/17 – UNC President Margaret Spellings to the UNC Board of Governors: Margaret Spellings emails the full UNC Board of Governors in the wake of the demonstrations at the University of Virginia. Students are pushing for Silent Sam to be taken down but, Spellings says she does not believe that she or the board can do that unilaterally. She warns there are likely to be increased demonstrations at the Chapel Hill campus. B: 8/20/17 – Carol Folt forwards an email from UNC Police Chief Jeff McCracken to BOG: UNC Chancellor Carol Folt forwards a memo from UNC Police Chief Jeff McCracken saying he believes that Silent Sam, as the only Confederate monument on a UNC campus, is a magnet for “extremist” groups and that students may be caught in the fight between these groups. He also warns that it is only a matter of time before students try to remove it themselves. He says the statue poses an “uniquely dangerous situation” and asks for any help possible to “mitigate” it. C: 8/21/17 – Spellings emails Gov. Roy Cooper, and then forwards that email to BOG: Spellings and Folt forward to the board a letter to Gov. Roy Cooper expressing their concerns about “Silent Sam” and asking that he convene the N.C. Historical Commission to take up the matter. Cooper replies with a letter saying he believes the statue can be removed by administration officials due to the safety concerns expressed. D: 8/22/17 – Fifteen of twenty-eight BOG members sign on to email sent to Spellings and Chairman Lou Bissette: Board member Tom Fetzer drafts a letter criticizing Spellings, Folt and Bissette for their communications with the governor and their leadership more generally. Fifteen total board members ultimately sign on to the letter. Spellings and Bissette communicate about the letter, noting that the aggrieved board members could not spell either of their names correctly in the final draft. Spellings speculates the letter is about board member Harry Smith’s candidacy to lead the board and the push for the board to get staff of its own that does not answer to Spellings. E: 8/22/17 – Signed-on BOG member Marty Kotis sends letter to BOG distancing himself from the tone of the letter to Spellings: Board member Marty Kotis sends another letter saying that while he signed on to the original letter, he doesn’t want to criticize Bissette’s leadership and instead blames UNC and UNC-Chapel Hill administration. F: 8/23/17 – Spellings and Bissette to the UNC Board of Governors: After toning down a more fiery draft, Margaret Spellings sends a reply to the Board of Governors. Bissette signs on to the letter, in which she defends their leadership and pledges to work with the board on their concerns. G: 8/23/17 – Signed-on BOG Member Bill Webb to BOG: BOG member Bill Webb sends a letter to the entire BOG distancing himself from the harsh tone of the Aug. 22 letter and says he agrees with much of the content but not necessarily the rhetoric. H: 8/23/17 – Webb to Professor Kimberly Tran: Bill Webb emails Dr. Kimberly Tran, a psychology professor at Fayetteville State University, forwarding her the original letter from the 15 board members. He writes: “Good morning. Strictly Confidential!! Trouble in paradise” before attaching the e-mail. I: BOG member Mike Williford to NC House Speaker Tim Moore and others at GA: Board member Mike Williford forwarded board correspondence concerning a threatened lawsuit over Silent Sam to N.C. House Speaker Tim Moore and Jim Blaine, chief of staff to N.C. Senate President Pro Tem Phil Berger. On August 18, four days after protesters toppled a Confederate statue in Durham, UNC President Margaret Spellings emailed the full UNC Board of Governors. She expressed concern about a groundswell against UNC-Chapel Hill’s “Silent Sam” statue in the wake of the violence in Charlottesville, Virginia but reminded them that the North Carolina General Assembly had passed a law specifically forbidding the removal of “objects of remembrance” and vesting that power exclusively with the N.C. Historical Commission. On August 20, UNC Chancellor Carol Folt forwarded a memo from UNC Police Chief Jeff McCracken to the board. In the memo, McCracken said he believed Silent Sam, as the only Confederate monument on a UNC campus, is a magnet for “extremist” groups and that students may be caught in the fight between these groups. He also warned that it would only be a matter of time before students tried to remove it themselves. He said the statue poses an “uniquely dangerous situation” and asked for any help possible to “mitigate” it. On August 21, Spellings emailed the board a letter sent to Gov. Roy Cooper outlining concerns that the statue could pose a threat to students and could, in the charged environment, be in danger of being damaged or destroyed. The letter urged Cooper to convene the N.C. Historical Commission to “take up this matter and to consider what steps should be taken, consistent with the law.” The letter was signed by Spellings, Folt, UNC Board of Governors Chairman Louis Bissette and UNC Board of Trustees Chairman Haywood Cochrane. It touched off a political firestorm. The Confederate monument issue was hot enough on its own, with many on the political right arguing the statues must be left in place to honor Southern history and those on the left calling them monuments to white supremacy and an affront to Black citizens. But there was another political element that made Spellings’ letter to the governor a controversy in itself. Cooper, a Democrat, had unseated Republican Gov. Pat McCrory in a long, bruising and expensive election. The General Assembly, controlled by the same Republican majority that appoints members to the UNC Board of Governors, had then controversially stripped the incoming governor of many powers enjoyed by his GOP predecessor. Many new members of the UNC Board of Governors are high-dollar GOP donors, party activists and even former GOP lawmakers themselves. Their opposition to Cooper had been fierce since he was Attorney General, lasted through the gubernatorial campaign and only intensified once he had defeated McCrory, breaking a full GOP lock on state government. Spellings reaching across the aisle to Cooper on a divisive political issue incensed some board members and they began to let it be known. Board Member Marty Kotis replied to Spellings’ email quickly, saying he would favor putting a fence up around the statue and banning gatherings near it. Cooper replied to the Spellings letter the same day he received it, suggesting that existing law would allow UNC administration to remove the statue if it posed a danger and might itself be destroyed. When the News & Observer wrote a story about Cooper’s reply before the full board had received the letter, Kotis angrily accused Cooper’s office or supplying it to the paper before it was actually sent to UNC officials. In fact, Cooper’s reply had simply been sent to a mass email box for the board and wasn’t forwarded to the individual board members before the article was published. This, along with a report about the death of a five-year-old in a domestic violence incident on UNC’s campus, stoked the growing sense of a number of board members that they were not getting on-the-ground information about university matters as quickly as they would like. 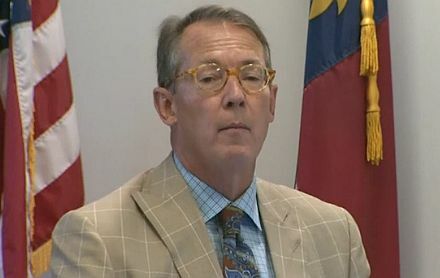 On August 22 Spellings and Bissette sent an e-mail to the full board letting them know that they did not agree with Cooper’s interpretation of the law and did not believe that the General Assembly would either. Therefore, they were hesitant to take unilateral action on removing the statue. The email ended by addressing the board’s growing concern that they should get information and be included in decisions earlier. The same day, board member Tom Fetzer began circulating a draft of an email criticizing Spellings and Bissette on the Silent Sam issue and a host of other matters. Fetzer, a former state Republican Party chairman appointed to the board in March, is part of a new, more conservative and combative wing of the mostly Republican board. In a September board meeting he quoted conservative icon Margaret Thatcher on the uselessness of seeking consensus in political decision making. With his draft email, he illustrated his point by sending it only to members of the board likely to agree with it and cautioning them to keep it to themselves for the time being. The draft aired a number of grievances, from communication problems to board members’ belief that they should be more intimately involved in matters right down to the campus level. But the greatest ire was reserved for the letter to Cooper. By the night of August 22, Fetzer quietly got fourteen other members (half of the 28-member board) to sign on to the letter with him: Harry Smith, Jim Holmes, Marty Kotis, David Powers, Alex Mitchell, Philip Byers, Mike Williford, Thom Goolsby, Pearl Floyd, Wendy Murphy, Bob Rucho, Randy Ramsey, Kelli Blue and William Webb. Upon receiving the email that evening, Bissette and Spellings reacted as though it had been inevitable. “Here it is!” Bissette wrote, forwarding the screed to Spellings. “Love that he didn’t get either of our names right,” Spellings replied to Bissette, noting that Fetzer had misspelled the surnames of both the President of the UNC system and the chairman of its board of trustees. “You would think they could at least spell our names correctly!” Bissette replied. “And Harry’s signature…” Spellings also noted. Spellings was referring to Harry Smith, the vice-chairman of the board who had campaigned fiercely among board members to get the position in a closed board election. Among themselves, some board members had predicted that if Smith were elected vice-chairman, he would be part of the new aggressive bloc of board members who would attempt to undermine Spellings and Bissette, perhaps even trying to force their resignations. In the wake of Fetzer’s letter, which caused a public furor, Kotis and Webb would quickly send their own emails saying that they didn’t necessarily agree with Fetzer’s style of rhetoric or the criticism of Bissette, but that they had signed on because they thought the issues needed to be aired. 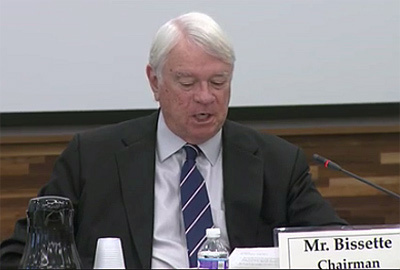 In an interview with Policy Watch this week, Webb said that Bissette seemed like a good option for chairman after the resignation of previous board chair John Fennebresque, whose rocky tenure saw the ouster of former UNC President Tom Ross. “I think everybody thought he was the perfect person to be a consigliere,” Webb said, using a term popularized by “The Godfather” that usually describes the advisor to an organized crime boss. As the emails show, that much was clear to both Bissette and Spellings. “I assume this [is] about Harry’s candidacy and BOG staff,” Spellings wrote to Bissette the night they both received it, referring to a push from some members to hire staff that would answer to the Board of Governors itself rather than Spellings. Both Spellings and Bissette opposed the move, saying it would cause further conflict on the board and between the board and administration. In the wake of the letter, a flurry of emails ensued between board members criticizing the Silent Sam protesters. Board member David Powers said they should instead be protesting the murder of a child on campus rather than a block of stone. Powers characterized the protesters as “spoiled kids” and said the board had more important things to worry about. Bissette played defense for both himself and Spellings, saying in an email that the murder was a police matter and that the administration had been asked not to speak about it while the investigation was unfolding. Spellings had shared as much information with the board as she could and the board wasn’t in a position to do anything, he said. The next day, in an email to board member George Sywassink, Bissette was more frank about his feelings on the Fetzer letter and its 15-member support. “The noose is tightening!” he wrote, attaching a copy of the letter. Other members were speculating about the political fight unfolding as well. On August 23, Webb emailed the Fetzer letter and several board members’ responses to Dr. Kimberly Tran, a friend and psychology professor at Fayetteville State University who has served as a member of the board’s Faculty Advisory Committee. For her part, Spellings began drafting a fiery response to Fetzer’s letter. The original draft, made available through a public records request, contains references to “the current political environment” and the board having to stand between the most conservative and liberal citizens in order to govern the university system. It also contained an admonition to learn to correctly spell her name and Bissette’s. Those things were ultimately scratched in favor of a “toned down” response, which went out to the full board. “I liked Margaret’s draft better,” Bissette said in an email after seeing the toned-down version. In the months that followed, Fetzer and the more combative members of the board continued to push for their own staff, to criticize Bissette and Spellings and to push for changes in the way the board operates. In September, when the continued presence of “Silent Sam” brought the threat of a lawsuit from students, emails reveal that board member Mike Williford forwarded emails regarding the suit to N.C. House Speaker Tim Moore and Jim Blaine, chief of staff to N.C. Senate President Pro Tem Phil Berger. The direct line from the Board of Governors to the state’s top GOP lawmakers would have been unusual for most of the board’s history. But Republican lawmakers have taken a much more direct hand with the board in the last few years. Beyond appointing close friends, fundraisers and former GOP lawmakers with whom they have served, state elected officials can now frequently be seen sitting in on committee and full board meetings. When they aren’t able, it appears they can be sure board members will keep them in the loop on even the smallest details. As the board enters the New Year, it remains, by all indications, a divided body that faces a number of continuing challenges, including the still-smoldering Silent Sam controversy.